Ken Mollenauer is co-owner of Starlight Studios in Saratoga. 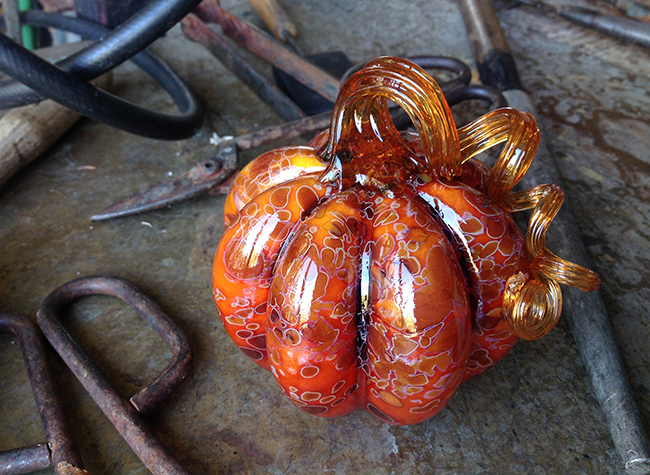 He has been involved in the Magical Glass Pumpkin Patch since its start. Ken’s collaborative artwork draws upon his professional experience in designing and prototyping. 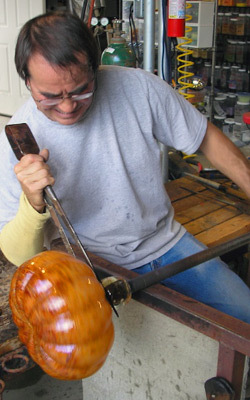 He has studied with well-known glass artists such as William Gudenrath, Jon Miller and John Brekke.